I'm getting ridiculously excited about my baby's first Halloween, despite the fact that she will have no idea it's happening. I wonder if she'll even realise she and her friends are wearing something different from the norm? Last weekend, Steve and I decided to kick things off by having a family arts and crafts session and decorating the living room. 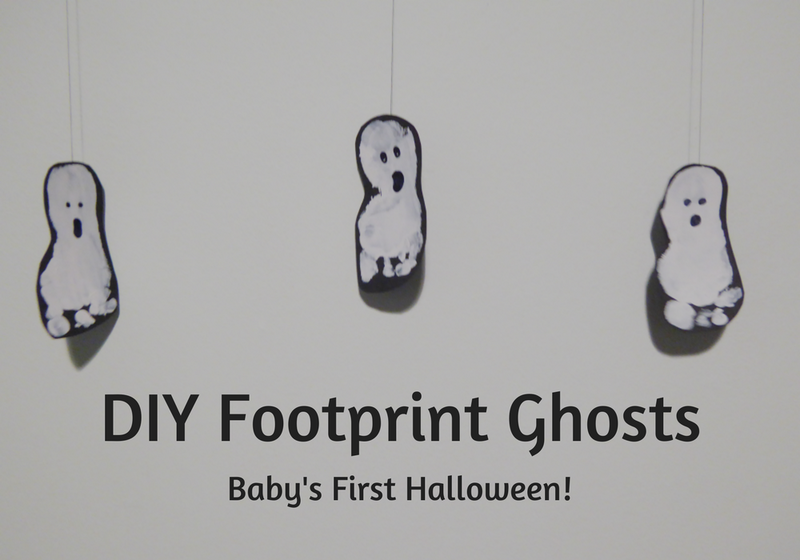 We made these incredibly simple footprint ghosts - aren't they cute?! Now, admittedly, this idea is so simple it's almost insulting to you to explain what we did, but there are a couple of things you can do to make the process less messy and the results less splodgy, so here we go. 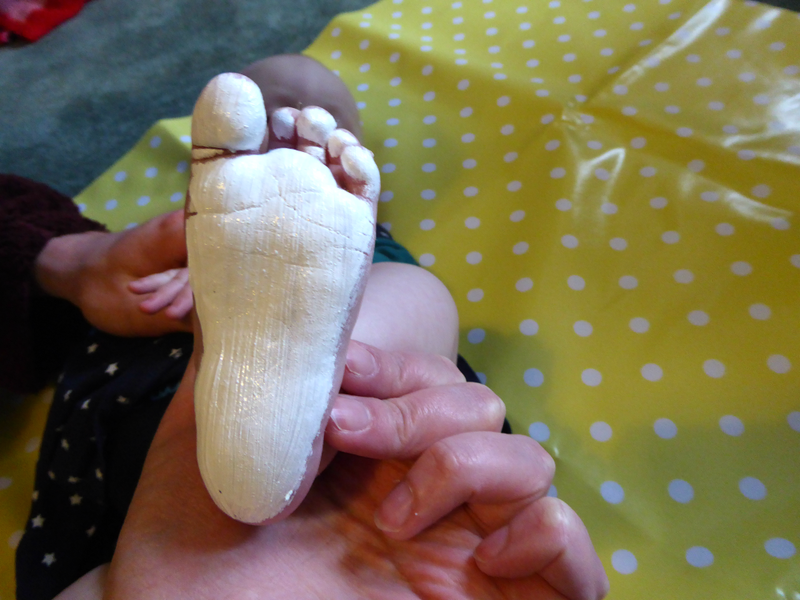 Start by painting your baby's (or your partner's or your own) foot white. Don't just stand them in a dish of paint - use a paintbrush so you get neat, even coverage. Press black cardboard to the painted foot. Again, don't stand your baby up to make the footprint - hold her foot up and press the card against it. The result will be much clearer and there will be less accidental paint smears all over you. If you are doing more than one footprint per sheet of card, cut them off as you go so nothing gets smudged along the way. 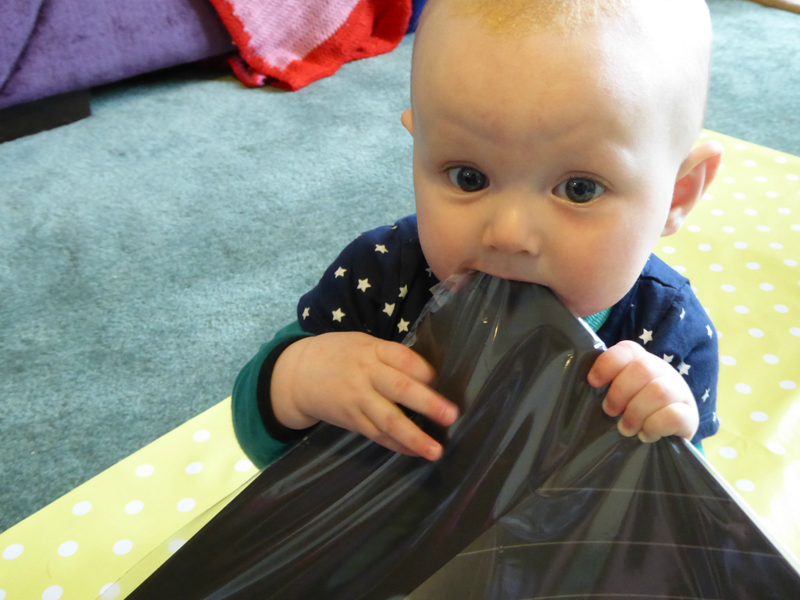 While you wait for the paint to dry, explain to your baby the importance of tidying up after yourself. Then explain that eating the remaining cardboard is not an efficient means of disposing of it; it is better put away in a cupboard. 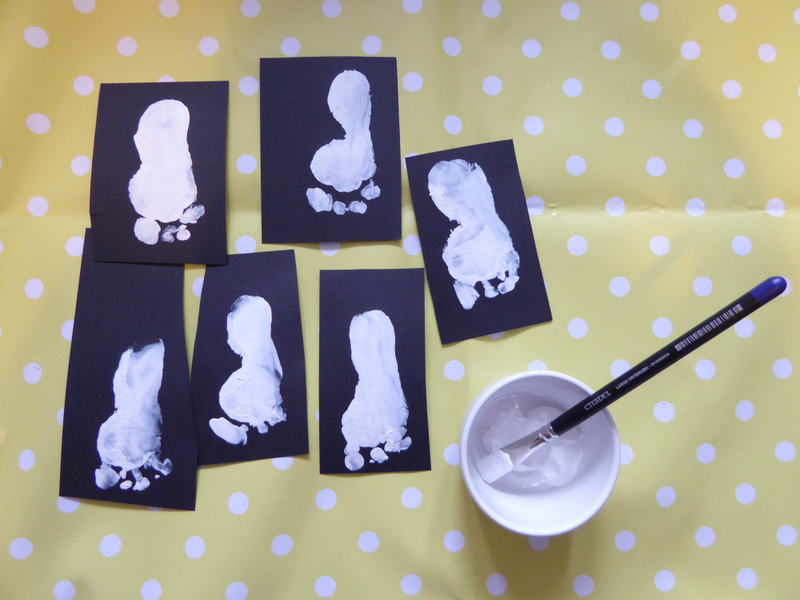 Once the paint has dried, either paint or draw faces onto your footprint ghosts. 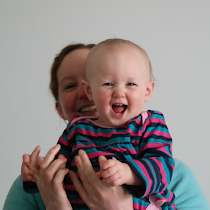 Simple faces are surprisingly effective. 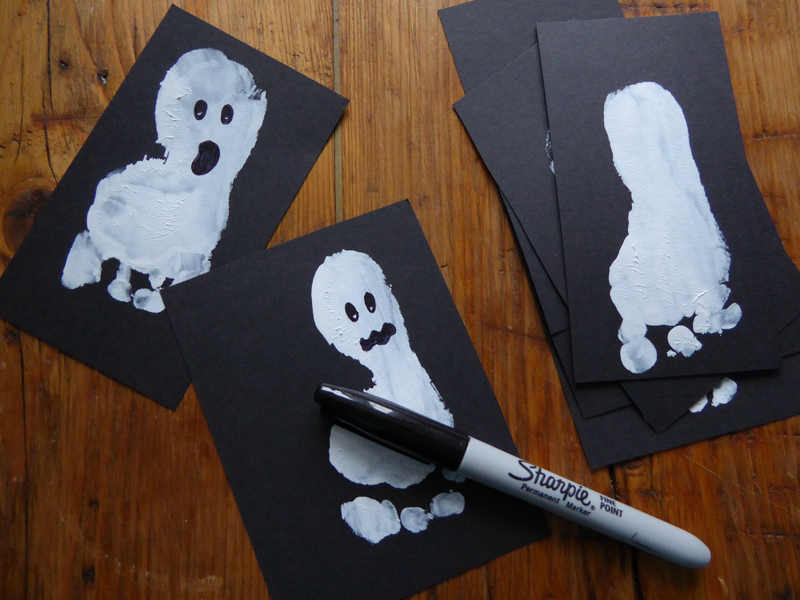 These would make fantastic Halloween party invites (how I wish I'd thought of that before inviting MM's friends round via Facebook) however if, like us, you're using them as decorations, cut around the ghosts so there's just a thin black border around them. 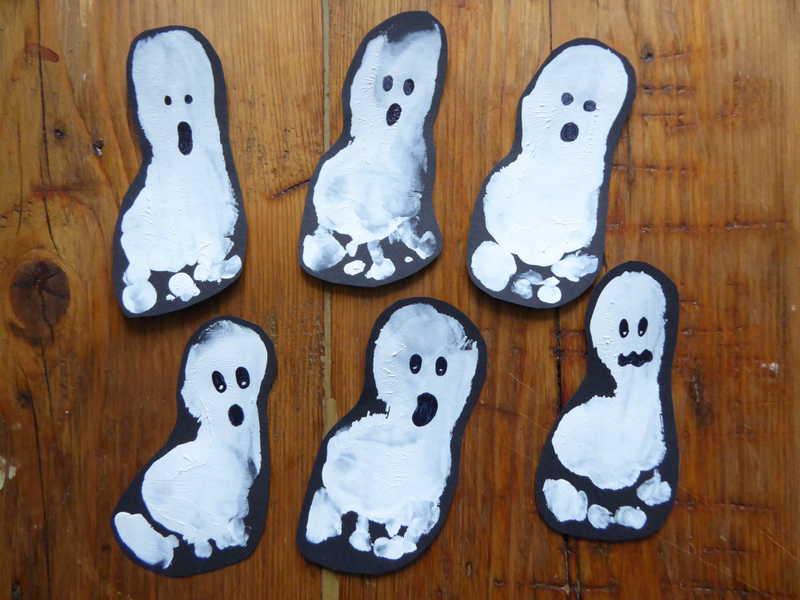 The finished ghosts can be stuck wherever and however you like but we decided to hang them from a mirror in our living room. We sellotaped string to the back of them (in hindsight, invisible string would have been a better choice than black) then white tacked them to the underside of the mirror. Because they are hanging above a radiator, the rising heat is making them dance around which both the baby and the cats are finding entrancing. And, to be honest, so am I.